With warmer weather here, we are grilling and eating more salads. 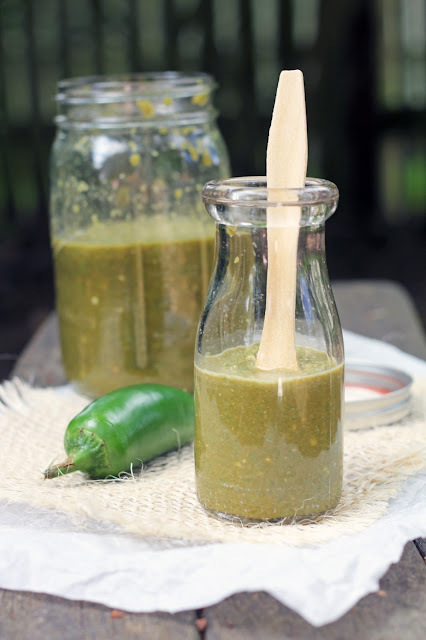 A marvelous condiment that appears often on our table and barbecue is this jalapeno sauce. Our family loves heat and spice, so when our friend Alison first made this fiery sauce for us we quickly devoured it. I’m always a fan of chiles and vinegar together (homemade sriracha is another staple of ours). Alison uses balsamic vinegar in this sauce, and I think it is a brilliant addition. 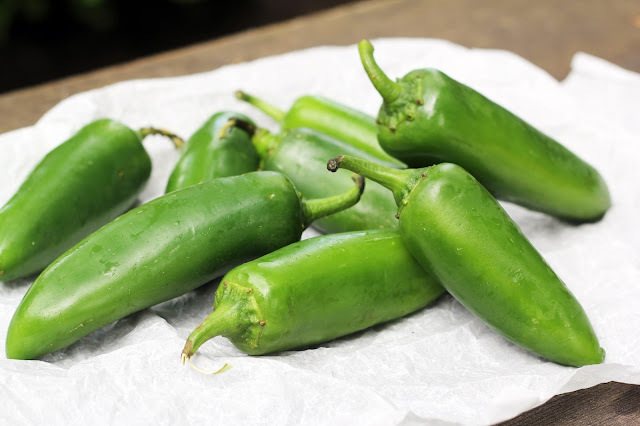 Fresh jalapenos, garlic, olive oil, shallots and balsamic vinegar are blended to create a quick sauce that packs a wollop of flavor. This jalapeno sauce is an easy way to liven up a dish. I’ve been stirring it in to salad dressings and jazzing up grains with it. Definitely a favorite around here! With grilling season upon us, it makes a terrific marinade, too. 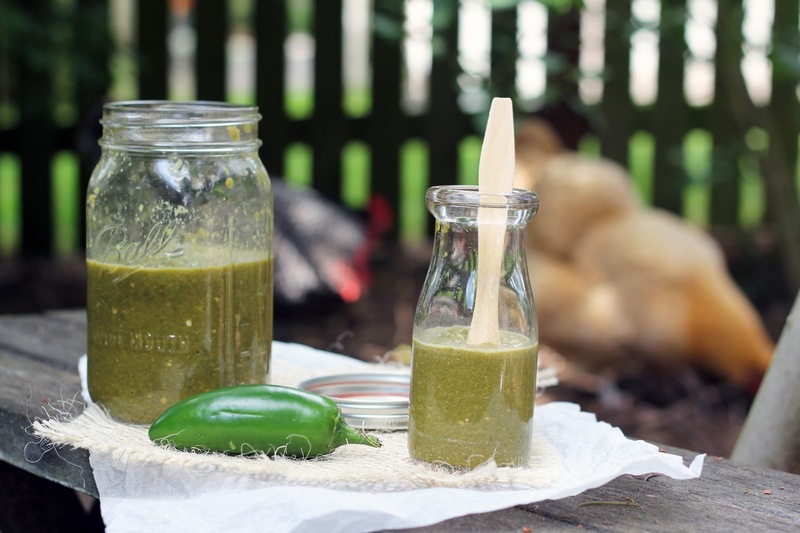 Over Father’s Day weekend, we slathered boneless chicken thighs with this green hot sauce and barbecued. It was simply fantastic! Combine all the ingredients in a food processor and blend until a smooth sauce is formed. Store in a covered jar in the fridge. It will keep for at least a month. My older son is graduating from high school this week and I am on a roller coaster of emotions. I'm savoring every moment Sam’s home before he leaves for college. I want to hold on and at the same time let go so he can flourish and grow in new, exciting ways. I find myself swallowing a lump in my throat quite often these days! Time is moving quickly ... how did I get to this point in parenting so quickly? I have truly loved every stage and look forward to this next chapter. In the meantime (and putting me further out of sorts! ), I haven’t been cooking much in June yet due to the whirlwind of end-of-school events, meetings and graduation activities. 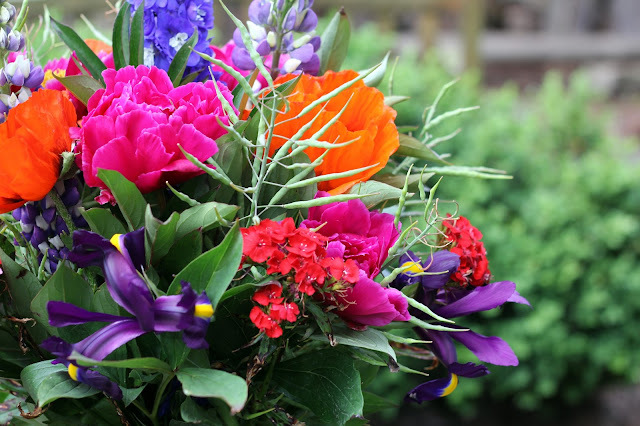 Happily, though, Isaac and I stopped at the farmer’s market over the weekend and it was bursting with flowers and berries and garlic scapes and so much more. Isaac lugged home jugs of ginger beer for me while my bag overflowed with gorgeous lettuce, stunning flowers and the biggest radishes I’ve ever seen. A lovely salad that we all enjoy is one our friend Debbie makes. I had this salad in mind when I picked up a head of red leaf lettuce at the market. 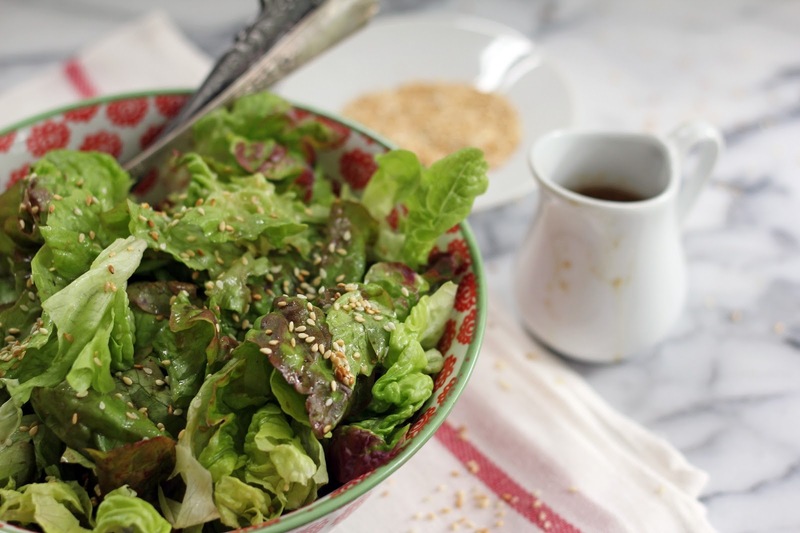 A vinaigrette made with soy sauce, red wine vinegar, Dijon, garlic and olive oil is tossed with toasted sesame seeds and leafy greens. 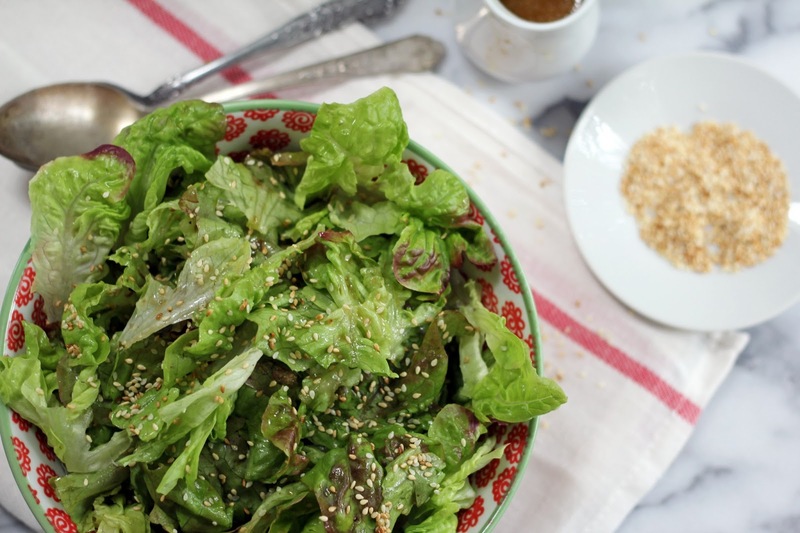 This pantry salad comes together quickly. The umami-rich dressing coats the lettuce leaves lightly, allowing the sesame seeds to cling and add warm, toasty flavor. Simple and flavorful, I’ll be tossing up this salad as we enjoy the graduation festivities and sharing time together, gathered around the table celebrating. 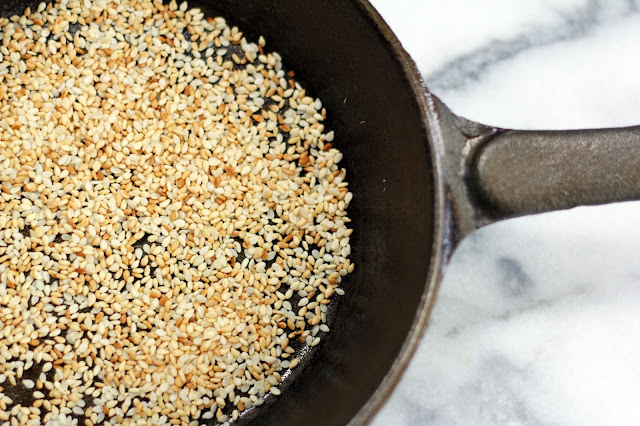 In a small skillet, heat the sesame seeds over low heat to toast them. Stir and watch carefully so they don’t burn. When most have begun to brown remove from the heat and set aside to cool. I often make more to keep on hand in a jar. In a jar, combine the rest of the ingredients, cover and shake until well mixed. The vinaigrette can be made ahead and kept in the fridge. Give it a good shake before using. 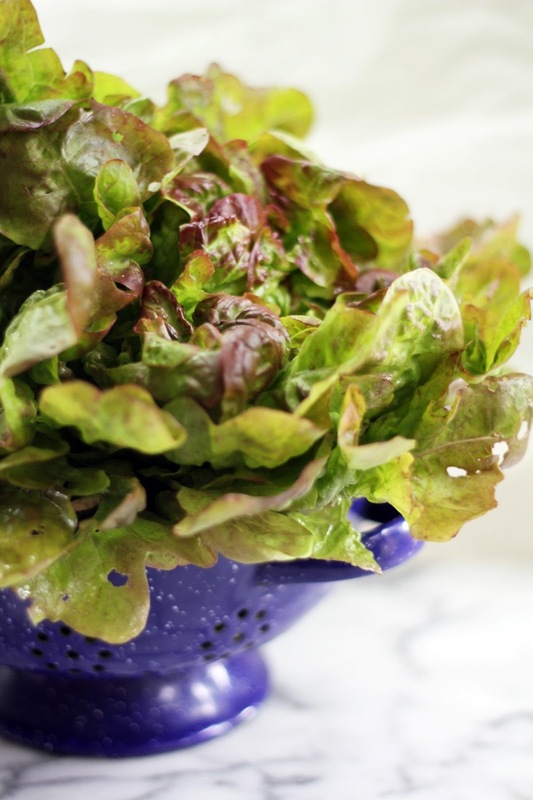 Tear the lettuce up into a serving bowl. Gently toss with enough dressing to coat lightly. Sprinkle in the seeds and mix so the seeds cling to the lettuce leaves. 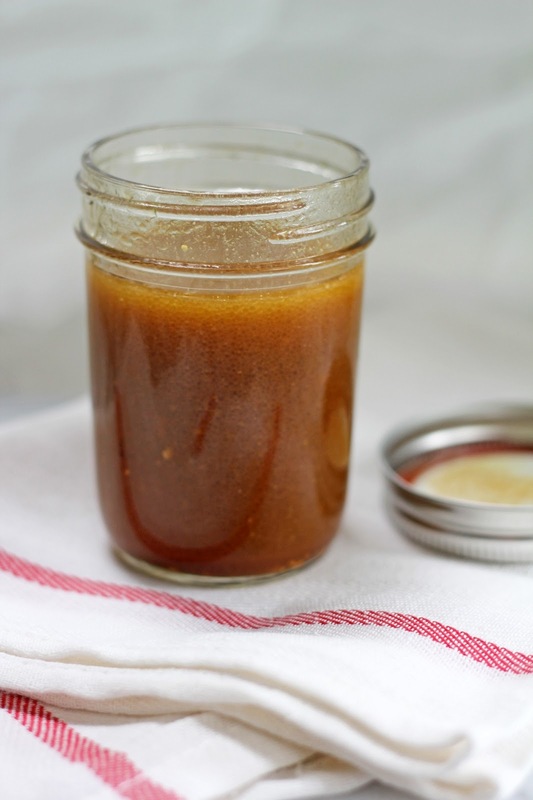 Any leftover vinaigrette can be stored in the fridge for a week.